Networking when done effectively is an excellent way to grow your business. It’s economical (in most cases) and allows you to build strong client relationships. In order to network effectively, here are five tips you can immediately implement into your next networking event. Tip 1: Have a plan before you walk into the event. Take some time to outline what you most want to accomplish. Set realistic goals for yourself. For instance, maybe decide ahead of time that you want to meet 3 to 5 new people, reconnect with 2 people you’ve met before and book 1 or 2 follow up meetings. By setting up a plan ahead of time, you now have a way to measure your success at the end of the event. Take a few minutes at the end of the event to evaluate how it went. Ask yourself how you did and what you might do differently at the next event to be even more effective. Tip 2: Work the room. For those who are like me and feel a little shy in a room full of new people here’s a simple technique to keep you engaged: Act as if this is your event, you’re the host and it’s your job to make others feel comfortable. Imagine all of these people are in your home, go out of your way to put people at ease. One way you might do this is by making introductions. Take someone you’ve met before and introduce them to someone brand new. This raises your credibility in the room and people will remember you as someone who went out of their way to make them feel comfortable. Tip 3: Be ready with your calendar to book next step sessions with the people you meet. Too many people treat networking as an opportunity to pass out a stack of business cards or flyers. This is ineffective and a waste of your valuable time and resources. Think about it, after a networking event do you run back to your office and follow up with every single business card you were handed at a networking event? Chances are you don’t. Very few people do. Then suggest a day and time for a follow-up meeting/phone call. When you do this, you’re making it easy for the other person to meet with you. And, really that’s the best way to earn a person’s business – make it easy and chances are they’ll say yes. It’s your job to invite people to the next step. When you issue an invitation, you’ll find you’re booking more clients. Send the message that you are there to make legitimate connections and be willing to act on their responses. This is another way to raise your credibility and build trust. We all know people do business with people they know, like and trust. 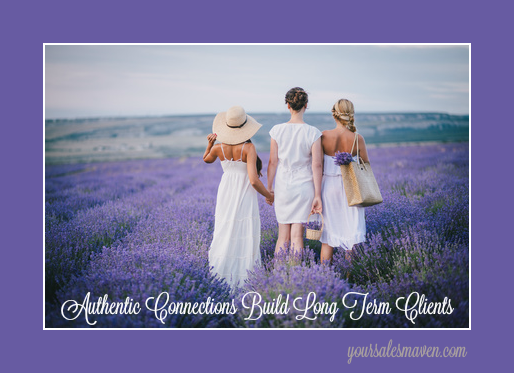 Approaching networking with “of service” attitude sends the right message to prospective clients and connections. Tip 5: Follow through is a pre-cursor to what people can expect from you if/when they become a client. Too many people say they’re going to do something and then for whatever reason, they get busy, they forget, etc., they never actually do what they’ve promised. One way to significantly stand out and shine is to do what you say you’re going to do. When you tell someone you’re going to make an introduction for them, write a testimonial, etc, add it to your calendar or your to-do list in the moment. This will ensure you remember it after the event. Be sure to complete the task within a day or so of the networking event. You are showing people what to expect when they work with you based on how you follow through and follow up. People want to know they can count on you and trust you to keep your word. Remember, everything you do and say in addition what you wear is making a statement. You’re building your brand and your reputation so do everything you can to set yourself up for success.